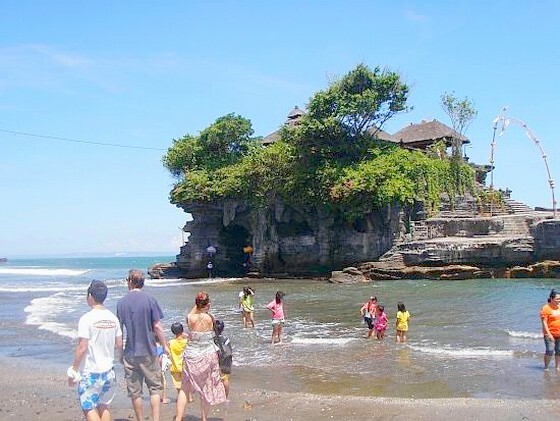 You should know is, by choosing tour packages in Bali, then we will get additional facilities like accommodation in Bali, rent a car in Bali, restaurant in Bali, insurance and other facilities that would be very easy for us during a holiday in Bali. Here are some tips on choosing a travel package for a holiday in Bali. Choose a travel agent that has a good reputation and reliable, must have had an official permission from the government. The first thing to make sure is to see whether they have a website that uses a paid or free domain, and certainly with a good view anyway. Then do some simple research by asking your colleagues, whether they ever use the service. Choose a tour package that fit our needs. Although the travel agencies have determined the spots to be visited, if you've been there, you should ask for a change tourist spot. Now many perjanana agents in Bali put through a price war to lure tourists. You have to ask why these agents and compare it with other agents. Then try to compare the packages they offer. Pay attention to the details given package, transportation in Bali, accommodation in Bali, logistics, travel time, and make sure the facilities offered adequate and appropriate to the needs and desires. Agents who live in Bali, certainly knows well all attractions. No need of local people, as long as they live in the tourist spot and has been long in the business of travel agents. They had also certainly have a wider network, tinimbang travel agents from outside the island. Which in turn will have an effect on depreciation costs to be incurred by the travel agent. Before you make a deal, first read carefully the terms and conditions applicable on every tour package offered. Sue the travel agency because they feel aggrieved after paying or making tours is wasted just because you are less careful in reading all the rules and requirements of the agency. For example; the price of tour package could be cheaper with each other is to reduce the cost of the meal. There are tour packages are deliberately sold does not include the cost of meals. So participants will be invited to a restaurant or a place to eat and had to pay for itself. Do komplin! Because when the agent did that, they would have included in the terms and conditions of their tour packages. So, pay attention to every detail of tour packages offered and carefully read their rules.